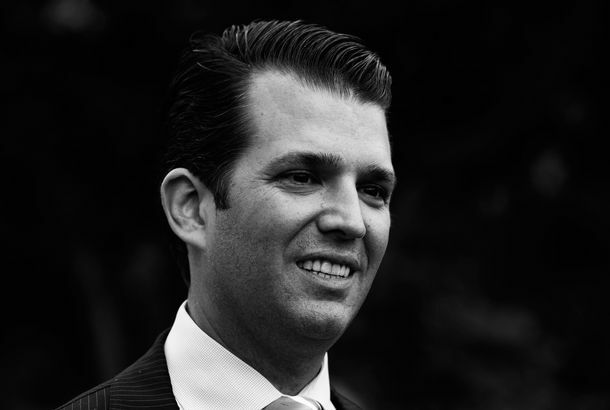 Rick Hasen on Why Mueller Should Have Gone After Don Jr.The president’s son was let off the hook for potential campaign-finance violations. This expert says that was a mistake. House Seeks Interviews With Trump’s Inner Circle in Wake of Cohen TestimonyIt looks like Cohen’s testimony was just the beginning, as House committees are now looking to speak with Ivanka, Don Jr., and others close to Trump. The Funniest Part of Michael Cohen’s Testimony Is This Don Jr. StoryHis testimony about the president’s son was particularly harsh. Donald Trump Jr. Called a ‘Family Friend’ Who Was Also a Link to MoscowTrump gloats that Jr.’s June 2016 phone call was not to him. But guess who Jr. did call? Donald Trump Jr. Doesn’t Know What SNL Stands For“You dummy,” said Bobby Moynihan. Furlough the Beast: Anonymous Trump Official Calls for Lengthy ShutdownA pernicious voice whispers to Trump, via a Daily Caller op-ed, that he can shrink the government simply by keeping parts of it shuttered. 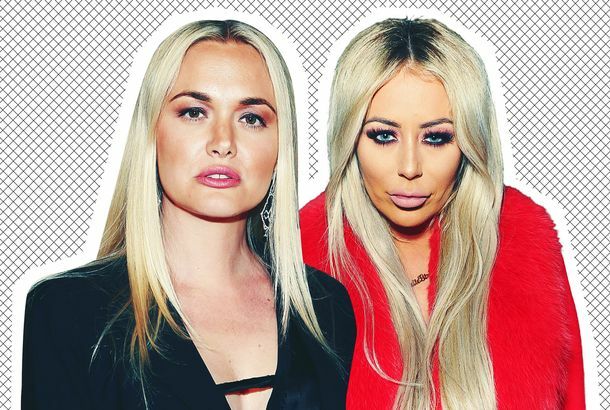 Aubrey O’Day’s Donald Trump Jr.–Themed Party Devolved Into Utter ChaosBecause of course it did. What Does Trump Tower Moscow Mean to the Mueller Investigation?A history of Donald Trump’s real estate white whale. Donald Trump Jr. Expecting to Be Indicted by Mueller SoonTwo reports indicate a perjury charge is coming soon. Donald Trump Jr. and Kimberley Guilfoyle Call Themselves … Donberly“Hashtag Donberly,” Guilfoyle declared on the couple’s romantic tour de MAGA. Video of Salt Bae and Trump Jr. Will Destroy Any Last Shreds of Your HappinessAs if Kanye’s Oval Office rant wasn’t bad enough. This Tribute to The Shape of Water SucksDon Jr. is a swampy boy. Trump Endorses Right-Wing Billionaire Foster Friess in WY Gubernatorial PrimaryThe man best known for advocating women putting an aspirin “between their knees” as contraception picks up the late POTUS nod. Apparently Kimberly Guilfoyle Calls Don Jr. ‘Junior Mint’A reference to his bank account, or his sweet, adultering personality? Liberals Are the Real Nazis, Says Donald Trump Jr. Actual Nazis Disagree.Dinesh D’Souza’s new movie tries to connect Democrats to the far right in an age when the far right vocally disagrees. Just a Natural, Totally Unfiltered Pic of Two Regular HumansFirst Boy Don Jr. and his girlfriend Kimberly Guilfoyle donned their best skin suits. The GOP Is a Trump Cult, Boasts Donald Trump Jr.“If it’s a cult, it’s because they like what my father is doing.” Yes, that is how cults work. Is Donald Trump Jr. Dating a Fox News Host?They’ve reportedly been seeing each other for a few weeks. Oh God, Here’s Donald Trump Jr. Talking About His Dad’s DAnd whether he slept with any Miss USA winners. 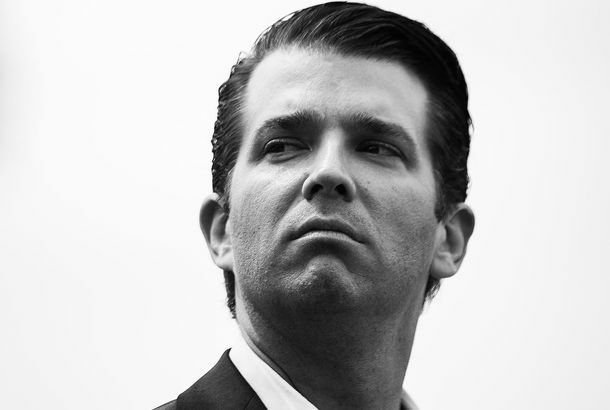 Donald Trump Jr. Goes ‘Hard’ at the Gym, Chops Off MulletSomeone is preparing for the single life! Donald Trump Jr. and Aubrey O’Day Were Reportedly ‘Trying’ for a BabyNew details about their dramatic (alleged) affair. Did You Know Vanessa Trump Was in This Nancy Meyers Movie?Her role was “Beauty”. 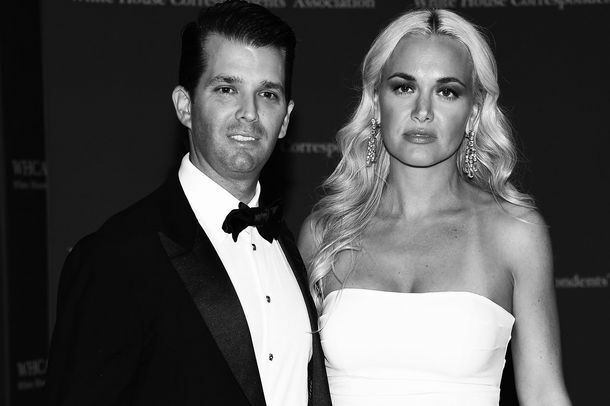 Vanessa Trump Was Named Most Likely to ‘Get a Divorce’ in High SchoolIt’s all happening. 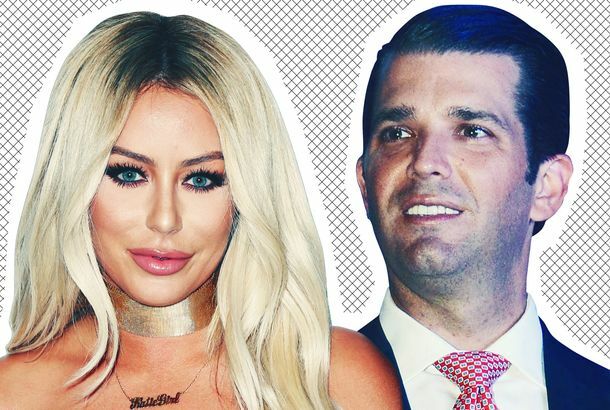 Donald Trump Jr.’s Wife Reportedly Found Aubrey O’Day Sexts on His PhoneVanessa Trump reportedly discovered them when he was in the shower. The Daily Mail Forced Us All to Consider Donald Trump Jr.’s FeetAnd the very nature of feet in general, really. 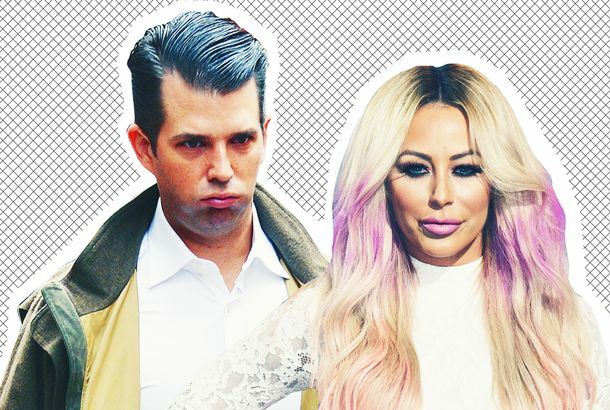 Everything to Know About Donald Trump Jr. and Aubrey O’Day’s Alleged AffairIt all started on the set of Celebrity Apprentice. Donald Trump Jr.’s Wife Reportedly Confronted Aubrey O’Day Over AffairDon Jr. apparently cheated on his wife with the singer. 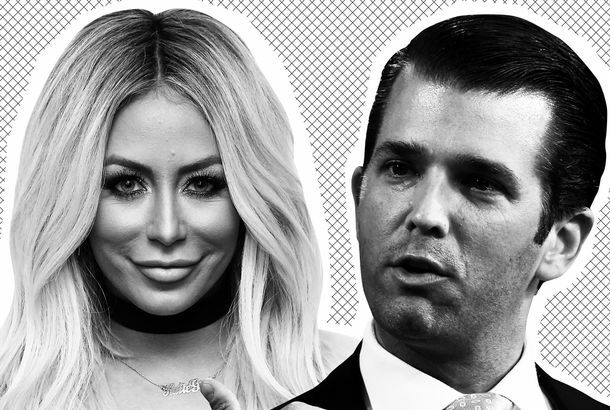 So, Is Aubrey O’Day’s Song ‘DJT’ About Donald Trump Jr.?Will listening to it help answer that question? It probably can’t hurt! Did Donald Trump Jr.’s Wife Leave Him Because He’s Cheap?“Page Six” sure seems to think so.